The first Monarch of Ubar Grotto believed in honoring those to whom honors were due. As such, his last act as Monarch was to establish the Court of Sheiks as an honorific body within the ranks of Ubar Grotto. In Middle Eastern cultures, a Sheik is a spiritual leader and elder who others look to for advice. In the same manner, the Sheiks of Ubar Grotto represent the spiritual leaders of the organization; those Prophets who have given selflessly of their time and efforts to support Ubar Grotto and help it grow. At the end of his term of office, each Monarch will consult with the elected line officers and select one Prophet to be “Festooned” and admitted to the Court of Sheiks. He cannot select himself. The distinctive regalia of a Sheik of Ubar is composed of the traditional emblem of the Grotto, suspended from a black neck ribbon. The seal is rendered on a starburst, symbolizing the light he has brought to those he has advised. Resting upon the starburst is the Veiled Prophet Mokanna, shining brilliantly with stones of white and red, the traditional colors of a Prophet. This is suspended from a black ribbon, symbolizing the darkness and ignorance that the Sheik has sought to destroy. Sheiks are entitled and encouraged to wear this decoration at all Grotto functions. Click here to read the presentation ceremony for a Sheik of Ubar. Those Prophets who have been honored and festooned as Sheiks will be listed here in recognition of their service. Pro Andrew V. Sterling – Festooned 2016 For his willingness to help the Grotto when called upon. Pro. 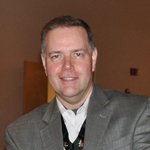 Bryan L. Hill – Festooned 2015 For his good nature, fellowship, and guidance to all. Pro. 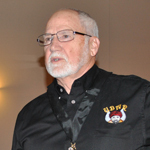 Russ E. Baker – Festooned 2013 For his selfless service, community mindset, and good fellowship. Pro. 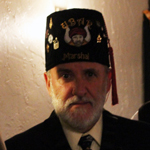 Thomas A. Labagh – Festooned 2012 For his efforts as Vizier, his leadership, and guidance.